I held this workshop as a pilot with a few kids. The kids loved making these cards on their own 🙂 Encouraged by the kids support and cooperation, I am definitely enthused and shall hold more workshops in future. Stay tuned!!! 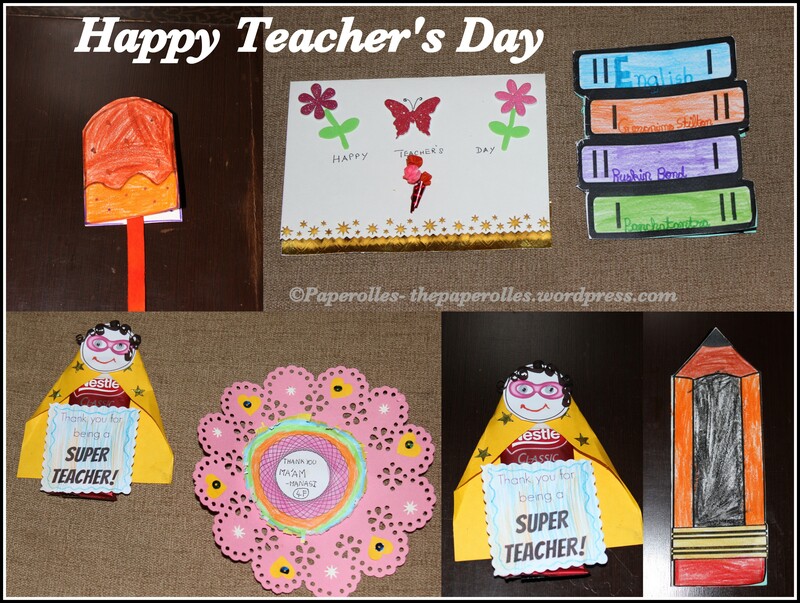 Thanks to artsycraftsymom.com for the ideas on book shaped card and the pencil shaped card. 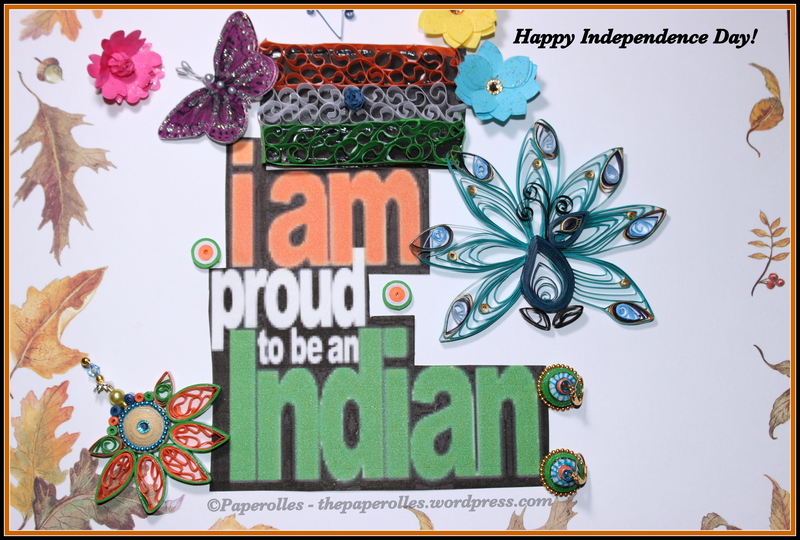 India – A beautiful country to live in with diverse culture. Let us enjoy each and every moment of this life and impart a good value system for the next generation. 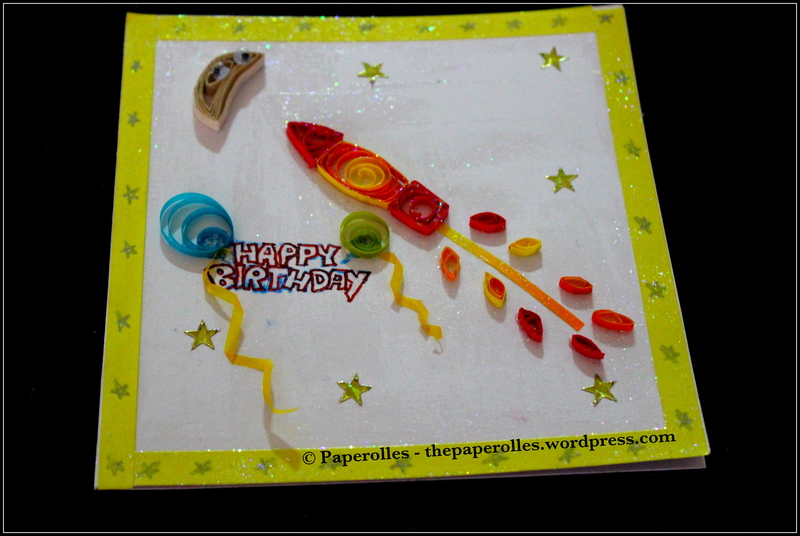 This card was quilled for my daughter’s friend on his birthday. The theme of the birthday party was Space and Rockets. 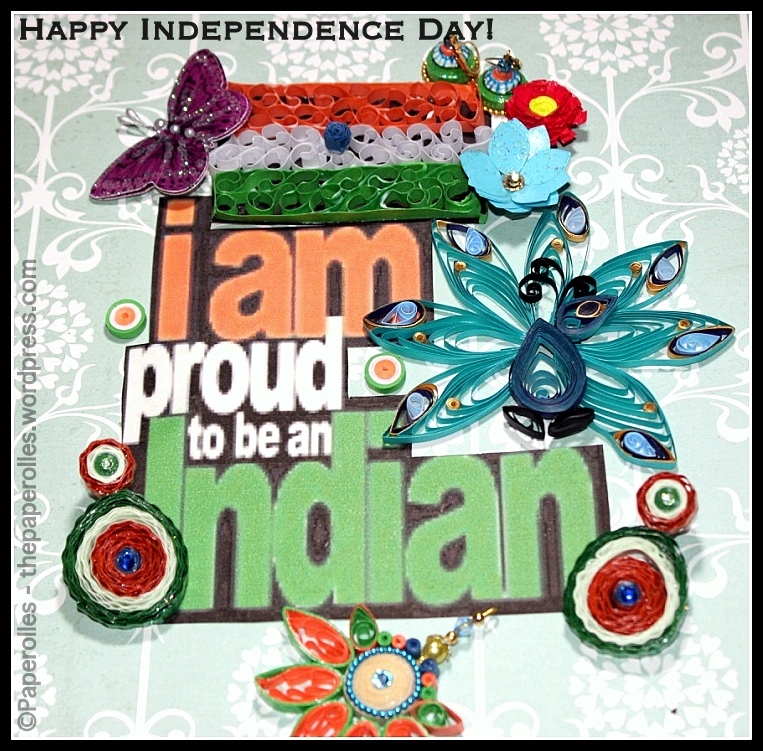 So I borrowed this theme and created a birthday card with a personalised message.